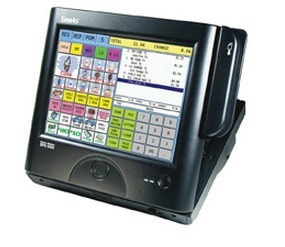 The SPS 2000 Touch Terminal is a great and streamlined cash register system. A high resolution screen gives you vivid colors and easy to see buttons. 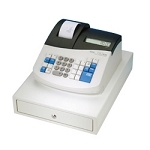 This cash register terminal is made to take up little counter space so even on crowded or limited counters you can fit this with ease. Made with software running from an on-board flash memory means there is no hard drive on the touch terminal cash register and stores information on non-volatile RAM. Greater speed, reliability and will recover from power loss faster. 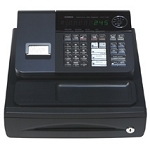 Order your SPS-2000 cash register today!